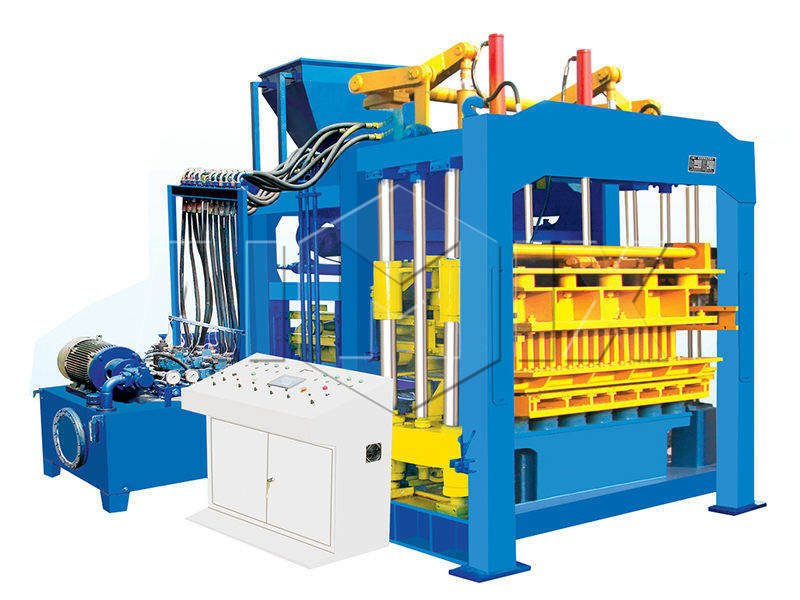 Block making machine is a special equipment to manufacture various kinds of bricks, such as hollow bricks, solid bricks, perforated bricks, paving bricks, interlocking bricks and so forth. And the multiple productions enable the machine to be widely used. It makes the bricks with fly ash, slag, gangue and other construction rubbish. While, the bricks have the features of high quality and low cost. What’s more, the latest brick making machine can be equipped with different molds to produce the bricks with different sizes and shapes. 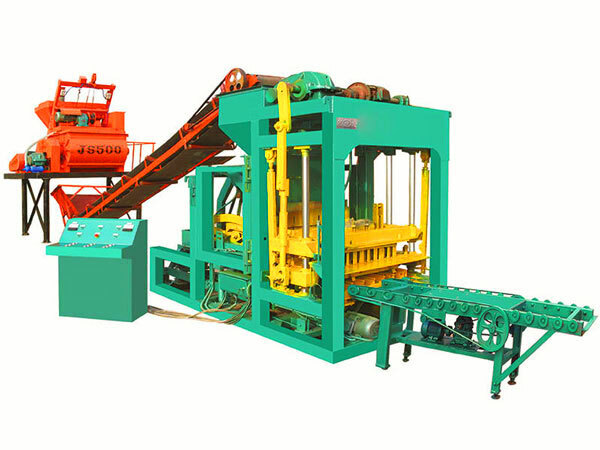 The machine sets the multi-function in one, and produces high quality bricks with low cost. If you want to build your own brick making machine, it is your best choice. 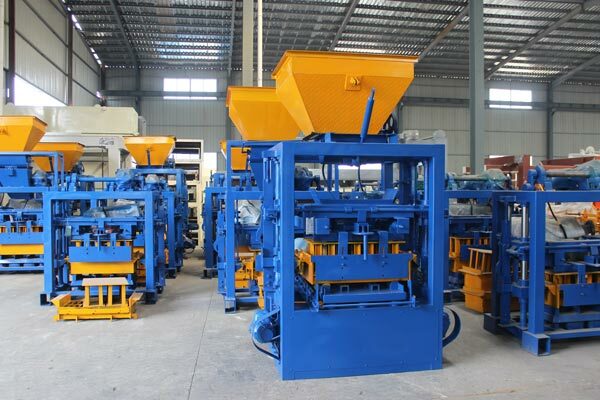 The brick production machine can be divided into many types according to the different standards. On the basis of forming principle, we can divided them into pneumatic, vibrating and hydraulic machine. According to the degree of automation, it can be divided into manual, fully and semi automatic brick making machine. According to the output, we can distribute it into large, medium and small-sized machine. The various machines will meet the demands of all the customers. In order to satisfy the requirements of customers, we have perfect service system, including pre-sales, medium-sales and after-sales service. 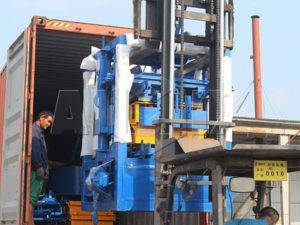 Up to now, we have sold many block making machines to abroad, here are some shipment cases, you can have a look. What needs to emphasizes is we have oversea warehouse in Pakistan, if you are in Pakistan, and you want to know block making machine price in Pakistan, you can visit our office at any time. Here is our address in Pakistan: No.100,Street 7, G-15/3,Islamabad. Pre-sales service: we company will help the customers to select the most suitable block maker machine, or design the machine according to the demands of customers. Before the customers receive the brick press machine, we will plan the field and design the best programs for them. All of the efforts aim to achieve high efficiency and smooth operation. Medium-sales: we will make sure the acceptance of the block production machines and assist the customers to work out the construction scheme. After-sales service: we will dispatch the skilled exports to install and adjust the brick block making machine in the construction site. In addition, we will teach the users to operate the machine. We Aimix Group has exported the machines to Pakistan, Vietnam, Sri Lanka, the Philippines, Bangladesh, Indonesia, South Africa, Dominica and so on. Some of the clients have imported the machines from our company for several times. We are confident that we will provide good machines and considerate service. 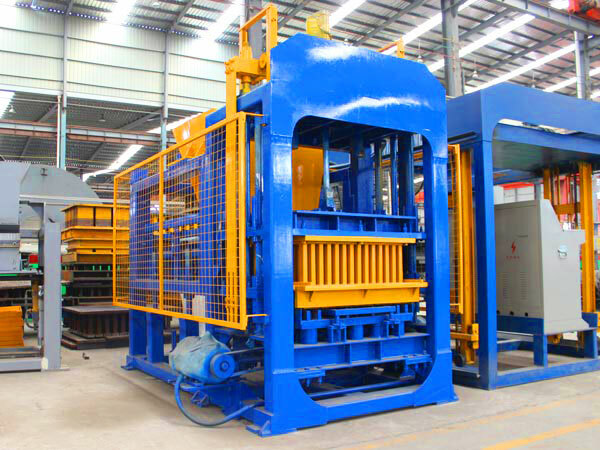 Forming machine frame: it adopts high-strength steel and special welding technology, which enables the sand brick making machine to hold the compact pressure and the elements of brick block making machine reliably. 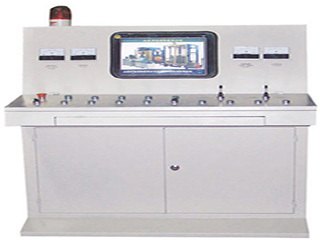 Control system: it adopts computer control system and the design of man-machine interface, and the electrical apparatuses adopt the international brand. The control system is designed on the basis of 15 years’ production experience and the international development trend. The brick and block making machine can realize continuous productions. Distributor: it adopts the sensor and the hydraulic proportional drive technology, and the hydraulic cylinder drives the distribution box to flick. 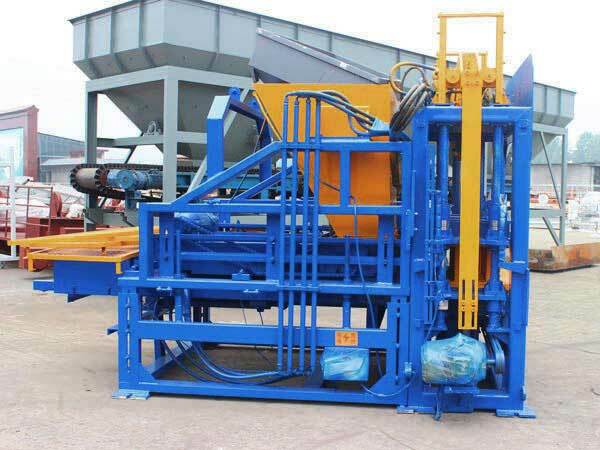 The flickering distribution box drives the distribution teeth to rotate for 360 degrees with high speed, so that the brick block machine distributes the materials compulsorily and evenly. Meanwhile, the mold vibrates with low frequency, and the mold cavities are full of materials due to the continuous vibration. Storage and feeding device: it is controlled by the computer. When feeding the materials, the device can avoid the influence from the external factors. And it contributes to the even distribution. Through several decades of development, Aimix has developed as a top enterprise. Compared with other companies, we Aimix have prominent advantages. Professional technical team. There are dozens of engineers and professional technicians in our company. The brick road making machines made in our company adopt the high-strength steel, which ensures the long service life. The reasonable design makes the machine operate with high efficiency. In order to meet the special requirements, we can adjust and design the new bricks making machine for the customers. 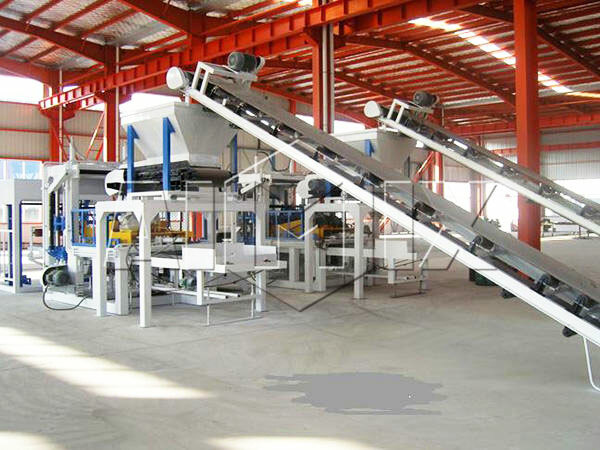 The advanced technology contributes to the good quality and low cost of the ash brick machine. Skilled staff. There are many workers to manufacture the block brick machine, and all of them have received the training. The large amount of the workers ensures the short delivery time, and the exquisite technology ensures the good quality of the productions. In addition, we have exported the machines to many countries and won good reputation at home and abroad. In 2007, the products in our company were award “Henan famous brand”; in 2013, we got CE certification. 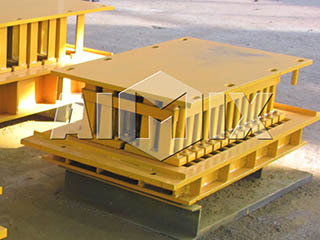 If you purchase the block maker machine for sale from Aimix, the customers will enjoy the perfect service and the operators will enjoy the easy work. If you need a machine for making bricks, please leave your message, and we will get touch with you in 24 hours. 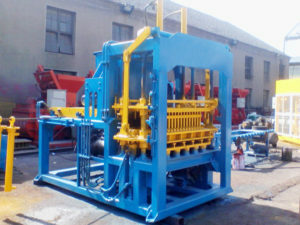 Test-run: after receiving the block bricks making machine, the operators should install and have a test-run immediately. And there are several points should be noticed. Install the brick made machine on the flat floor and fix it with anchor bolt. Theoretically, the machine should be perpendicular to the floor. Make sure that the bolts of each component are tight and the host port is fixed tightly. Have a test-run without load if all the parts are intact. 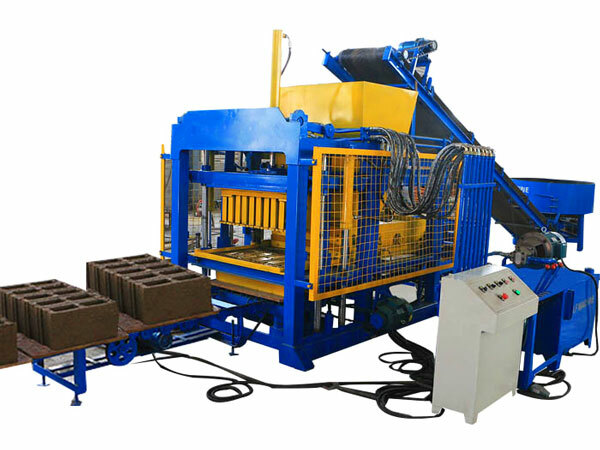 The normal test-run ensures the smooth running of the machine for making bricks. 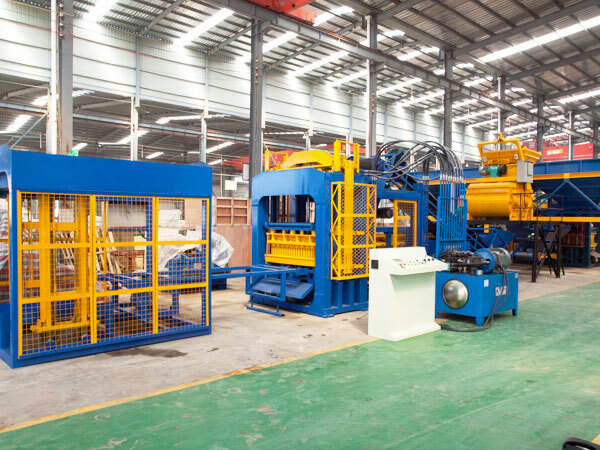 Daily operation: the operators should have good operating habits according to the rules, which ensures the smooth running of the hydraulic brick machine. Never feed materials into the hopper before the running of the block building machine. Otherwise, the elements will be damaged due to the overload. Before the new machine to make bricks comes into operation, equip the protective shield on the brick forming machine. Please pay attention to the strange noise made by the bricks production machine, and turn off the machine and have a check immediately. After completing the work, please clean the residue out of the die sleeve.